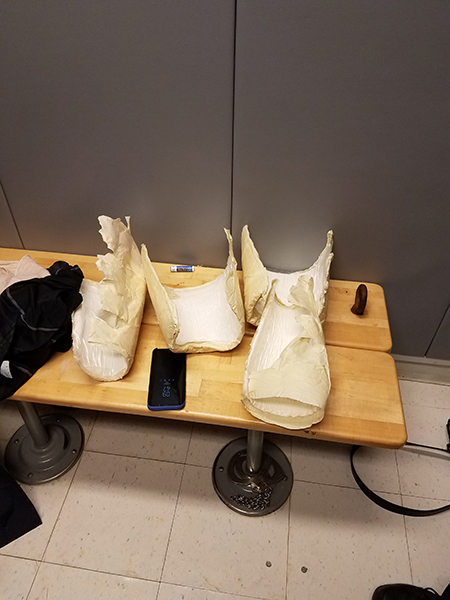 NEW YORK CITY -- An airline crew member found himself in hot water with U.S. Customs and Border Protection after he allegedly tried to smuggle cocaine through JFK Airport last week. Officials say Hugh Hall, an employee of Fly Jamaica Airways and a Jamaican citizen, arrived at JFK Airport on March 17th on a flight from Montego Bay, Jamaica. When Hall went through a security inspection in a private search room, customs officers discovered four packages that contained a white powder taped to his legs. The powder later tested positive for cocaine. Nearly nine pounds of cocaine was found within the packages, which has an approximate street value of $160,000. 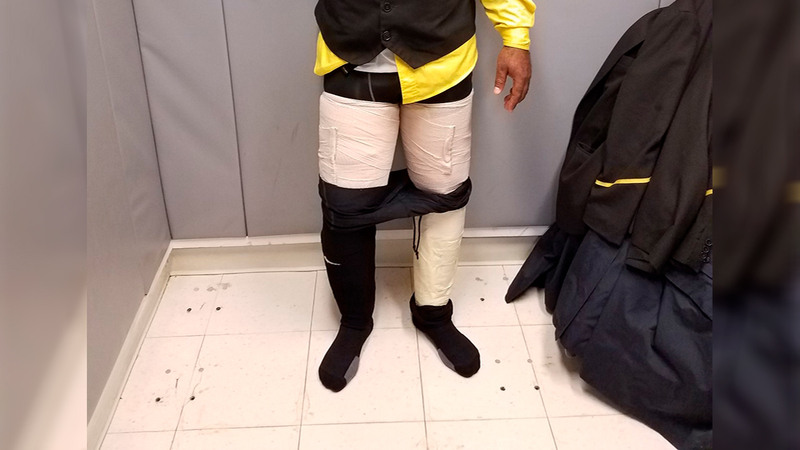 "This seizure is another example of our CBP officers being ever vigilant in protecting the United States from the distribution of illicit drugs," Acting Director of CBP's New York Field Operations Leon Hayward said. Hall now faces federal narcotics smuggling charges.